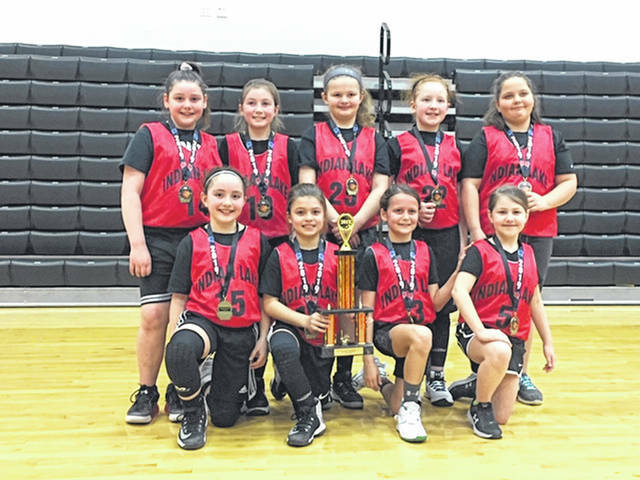 The Indian Lake 3rd grade girls captured the Northwest Ohio Basketball League Championship on March 10, defeating Riverdale, Marion Harding Red and Marion Harding Black to win the title. The girls finished the season with a 12-0 record. The team includes, kneeling from left, Anara Shroyer, Bre Wisener, Rya Pequignot, Alyson Hamilton, standing from left, Ava Phillips, Alivia Kinney, Chloe Borgerding, Madison Davis and Donna Zook. The team is coached by Mike Pequignot and Chris Kinney. 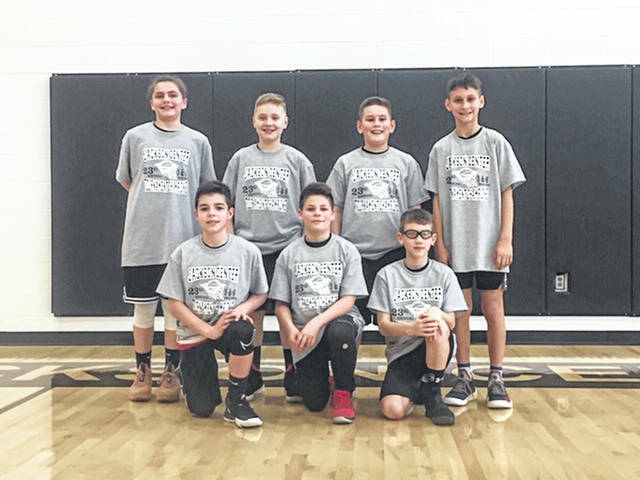 The Indian Lake 5th Grade Boys’ Basketball team won the 23rd annual Jackson Center Youth Basketball Tournament. They went 4-0 defeating Cedarville, Jackson Center and New Bremen twice to claim the title. Shown are, front row from left, Aidan Todd, Weston Campbell, Kade Richardson, back row from left, Tyson Ramirez, Carson Clary, Cooper Hall and Avery Pequignot. The team is coached by Mike Pequignot and Wes Hall.